Rafael van der Vaart signed a 5-year contract in May 2005 for German club Hamburger SV. After transfer rumours in summer 2007 about a move to Spanish Valencia, he finally moved a year later to Spain. Real Madrid has signed the Dutch international on a 5-year deal until 2013. Van der Vaart is child of a Spanish mother. He joined Real Madrid as fifth Dutchman in the selection. Two seasons Van der Vaart spent in Spain before moving to England. Just before the closing of the transfer market in August 2010, he signed a 4-year contract at Tottenham Hotspur for a fee around the 11M€. On August 15. 2012, Van der Vaart played his 100 match as Dutch international in a friendly against Belgium. On 31 August 2012, Van der Vaart returned to his former club Hamburger SV where he signed a three-year deal. On 9 April 2013 he was named the club captain. 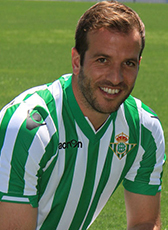 Van der Vaart signed for three seasons at Real Betis Sevilla on a free transfer at the in June 2015. Van der Vaart was happy that he is going to play for a club that is based close to Chiclana where his Spanish family, amongst other his grandmother, lives. One year later, after playing only 7 games at Real Betis, Van der Vaart went to FC Midtjylland on a two-year deal. The girlfriend of Van der Vaart, Estavana Polman, plays professional handball in Denmark. After expiration of his contract in summer 2018, he added another season football in Denmark with signing a 1-year contract at Esbjerg from Dutch coach John Lammers. For Esbjerg he just featured three times in the first months. On the fourth of November 2018 he announced his immediate retirement of professional football as player.